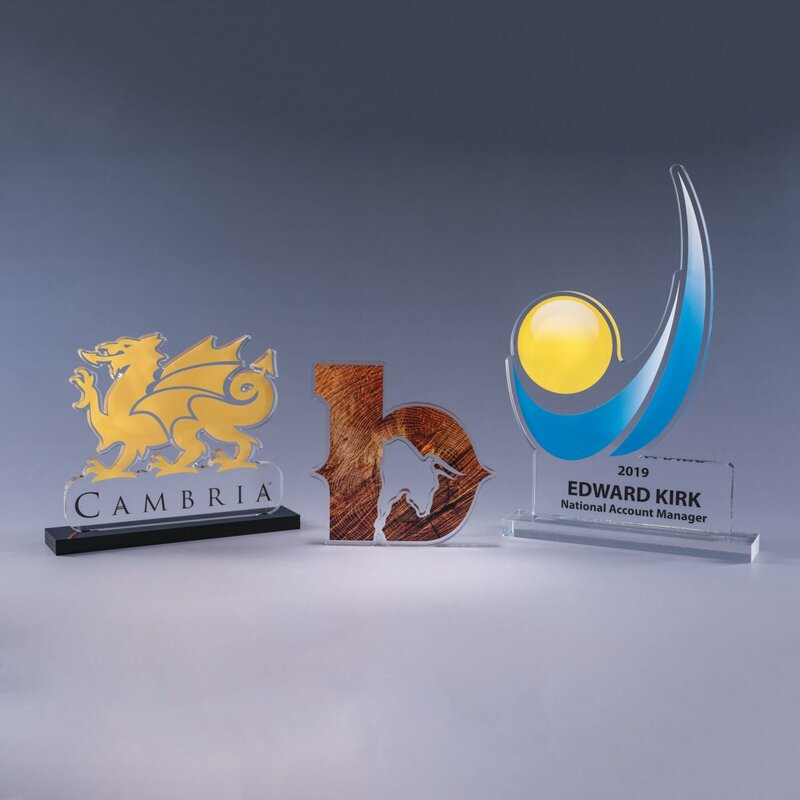 Want a completely custom award, but donâ€™t have the budget or time for expensive mediums like crystal, stone and metal? Brand Shapes by J.Charles is the answer! 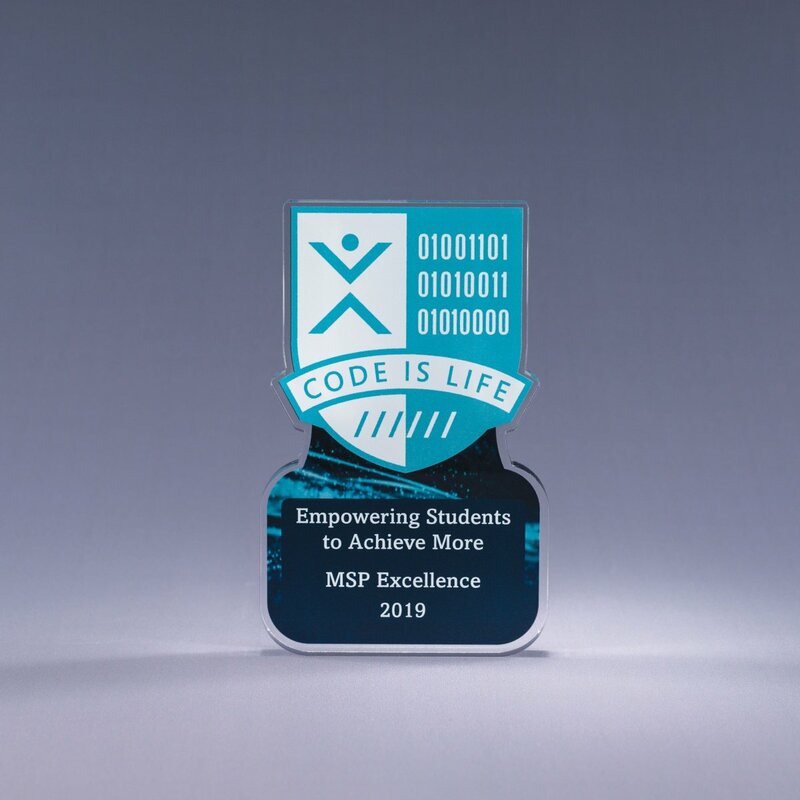 These awards, made of optically-pure acrylic, are digitally printed in vivid color then cut and polished to any size and shape using a laser. Our talented designers will create two concepts based on your brand and/or theme, FREE OF CHARGE!